Mid and East Antrim councillors have raised concerns that the new public realm scheme could disrupt trade during the busy summer and Christmas periods. A report presented to the Council’s Economic Growth and Development Committee on June 9 said that contractors Earney are “seeking (by negotiation) to work evenings and weekends in order to progress as quickly as possible; they may also seek to work in some areas (again by agreement) during the Christmas moratorium period to keep the momentum of works progressing. Alderman Gregg McKeen said that traders had raised concerns with him, and that he wanted to ensure there would be minimal impact at the end of July and over Christmas. 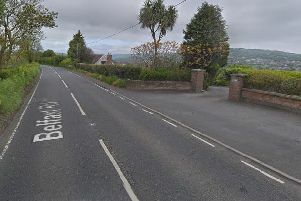 A council officer said that he would look at what could be done for Larne and that when work was allowed to continue over Christmas it was normally “at the side” rather than on the main thoroughfare. Councillors agreed a communications strategy whereby all parties involved will meet with businesses on June 24 and 28. Traders affected will receive hand-delivered invites to these sessions as part of the next update bulletin. A series of update bulletins will be issued, as will more communications from contractors.